Hormonal changes, deficiencies or excesses can have profound effects on the reproductive systems of both men and women of all ages. Cooley Dickinson is now pleased to be able to offer services that address hormonal and other endocrine conditions from puberty to menopause, with a focus on hormone therapy, menstrual migraines and fertility services for prospective parents of all genders. Robert Stuart Howe, MD, FACOG, began his career in fertility medicine as a reproductive endocrinologist at Baystate Medical Center, from 1989-92. From there, he opened the region’s first IVF program and served as a reproductive endocrinologist and director of the IVF Program at Hartford Hospital in Connecticut from 1992-1993. 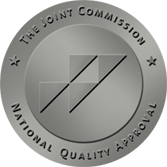 In 1994, Dr. Howe became the Medical Director of the Reproductive Medicine Center of Western Massachusetts in East Longmeadow, Mass., and oversaw the clinic until 2017. He joined the Cooley Dickinson Medical Group as a part of CDMG Women’s Health in 2018 to establish a program in reproductive medicine in Northampton, collaborating with the reproductive endocrinology division at Mass General Hospital. 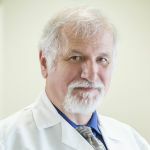 Dr. Howe has given dozens of scientific/medical and educational presentations throughout his career, in the Europe, the U.S. and Canada, is the recipient of several scholarships and medical research awards, and has been published multiple times in scientific/medical and other publications.